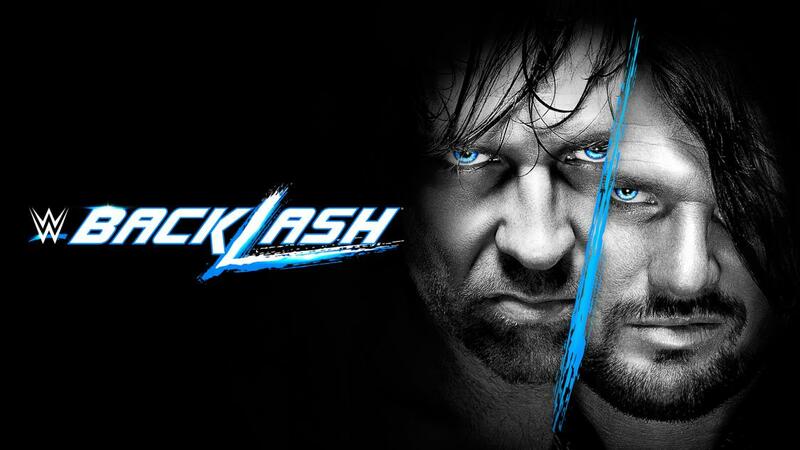 With all the draft hoopla, we saw that Smackdown would have their first brand specific PPV first, and as Sunday approaches, we are almost there. I was excited about it, but.... there's a bit of an annoyance after learning of the Smackdown results. American Alpha, who should have been the Smackdown Tag Team Champions, are no longer in the match due to a kayfabe injury that turned the Usos into heels (no one cares) and now we get a new match with the winner set to face Heath Slater and Rhyno in the Finals. Otherwise, this card is mostly solid for a very slim roster that Smackdown has. I wouldn't pay for this on PPV, but I'll watch it on the Network likely if I have nothing else to do. 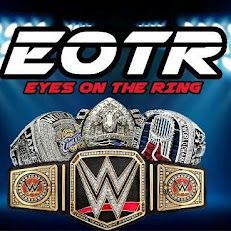 Let's take a look at this PPV and what we can expect. 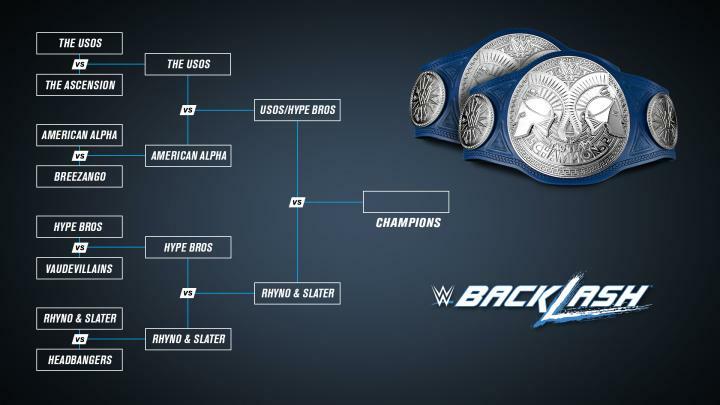 -American Alpha should be in the Finals, but likely the storyline is set up to turn the Usos heel and let Rhyno and Slater win so he could get a contract on Smackdown. Hype Bros likely will lose since Usos are now heels, and the crowd will want to be on the side of Rhyno and Slater in the Finals. Usos pick up the win. Disappointed in Smackdown fo screwing American Alpha out of this opportunity, but it is what it is. -Simple as this. Slater and Rhyno will be your tag team champions. The only reason why American Alpha isn't in this match is for that reason. They didn't want American Alpha to lose any steam or momentum, so they will prolong their title shot just to let Slater get over and the titles. Makes sense. 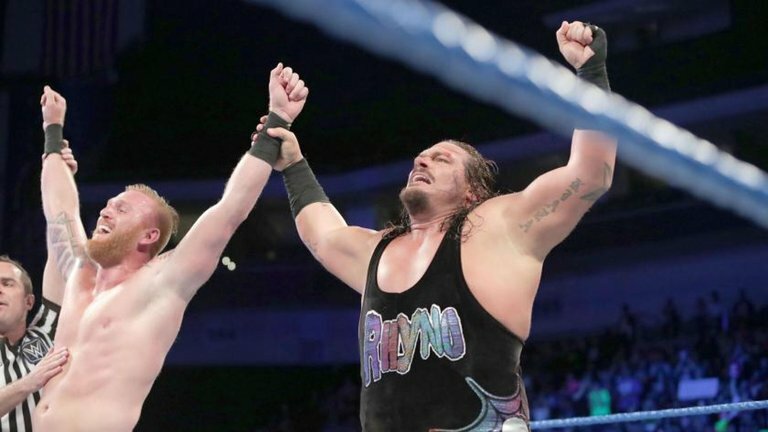 In the meantime, Slater and Rhyno win the titles to a huge reaction and Slater ends up with his biggest moment and a good culmination of this storyline. -I'm not excited for this match. It will likely be sloppy. It will likely be very boring and I have a bad feeling that they will give the title to Nikki Bella for her to make a triumphant return. Nikki might be nice to look at, but as a wrestler, she's pretty bad. I'd like to see Alexa Bliss or Becky Lynch get the victory, or maybe even Naomi, but the truth is, this division needs much more women to make it legitimate. Right now, the choices aren't the best at all. -Another match I'm not really excited for. 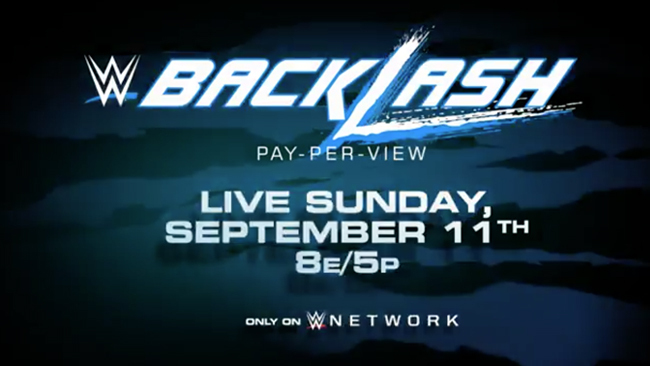 I think I was excited for Backlash at a moment, but Smackdown did everything they could to change that. 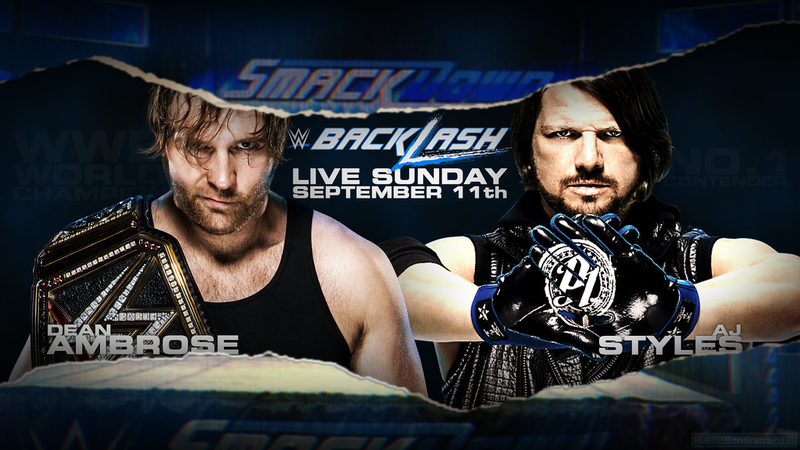 Hands down, this match is happening for the 100th time on PPV or TV, and I just don't give a damn. They ruined all of the Miz momentum by including perennial Trump supporter Ziggler in the middle of this. I expect and hope Miz retains then loses to Apollo Crews like he should have anyways. 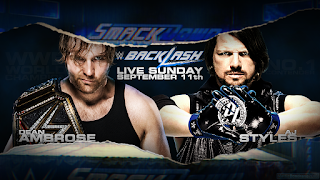 -AJ Styles has to win this match. He's just beaten John Cena clean at Summerslam. He's just had some of the best matches this entire year. AJ has all the momentum, meanwhile this Ambrose thing hasn't really worked since the brand split started. I thought Ambrose did well against Ziggler and won the promo battle, but here he seems uninterested and there's no real heat on the feud. Much of that could be attributed to the fact that he's likely got some heat backstage after his Austin podcast, and he could very well be dropping the belt here. I'd say let them go for 26 minutes with AJ pulling the best out of Ambrose before a Styles Clash and forearm wins the belt in a classic. The era of AJ should be upon us. What do you think of this Backlash card? Excited? Disappointed? Tell us below in the comments.